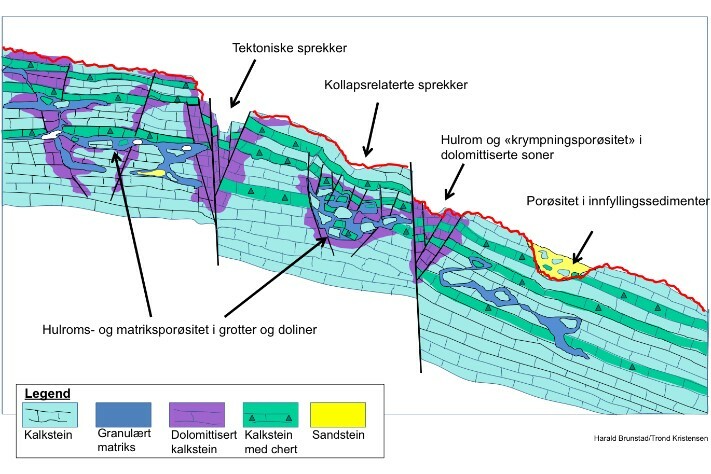 Karst processes have affected the carbonate reservoirs in the Gohta and Alta discoveries on the Loppa High in the Norwegian Barents Sea but in different ways. Israel Poloni and Niels Rameil from Lundin gave a short overview and update of the Paleozoic carbonate plays and reservoirs on the NCS at the Carbonate Plays Force seminar. Poloni presented the Zechstein play in the North Sea (Read also “Zechstein Play on the NCS: is it worth exploring?”) while Rameil focused on Alta and Gohta, which are still in the appraisal phase but on their way to development. Alta and Gohta, situated on the southern part of the Loppa High in the Norwegian Barents Sea, may be neighbouring structures but the reservoirs are different rocks of different ages due to the base Triassic unconformity. 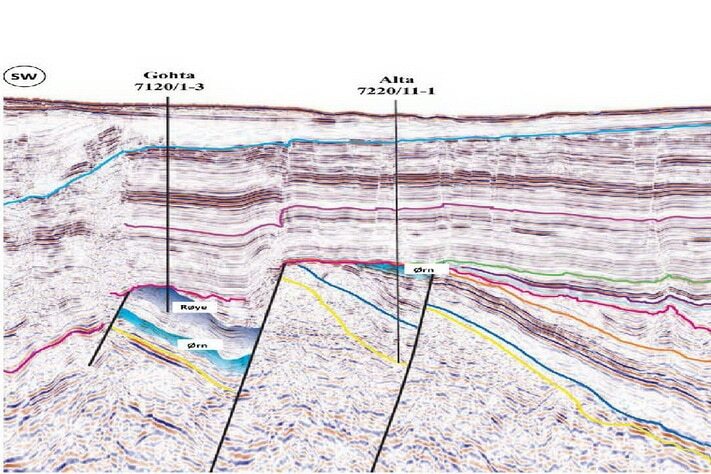 Seismic section from the SW part of the Loppa High showing the rotated fault blocks where the Gohta and Alta discoveries were made. The discovery wells and the formations in which the discoveries were made are marked. Seismic data are courtesy of MultiClient GeoPhysical ASA, Norway. The Upper Paleozoic lithostratigraphic units can be correlated between southern Norwegian Barents Sea, Svalbard, North Greenland and Arctic Canada (Stemmerik and Worsley, 2005) and subdivided into the Gipsdalen, Bjarmeland and Tempelfjorden groups. During these times the paleoclimate evolved from a warm and dry climate, to a cool and finally cold climate in the Tempelfjorden Group. The carbonate reservoirs in Alta belong to the warm Gipsdalen Group with vuggy dolomites of the Falk formation and Bryozoan reefs of the Ørn formation. In Gohta the reservoirs are much younger from the Permian lower Røye formation, which is dominated by dolomites and limestones with cherty “spiculite” layers. 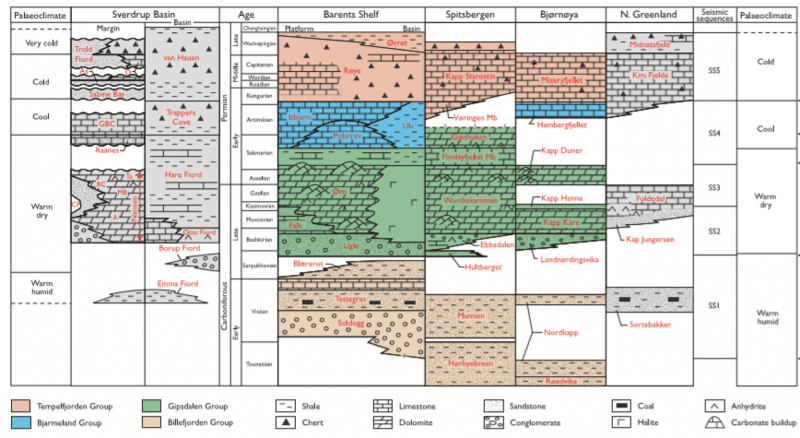 Correlation of Upper Palaeozoic lithostratigraphic units between southern Norwegian Barents Sea, Svalbard, North Greenland and Arctic Canada (Stemmerik & Worsley, 2005). The bryozoan reefs from the Ørn Formation on the flank of the Loppa High can be recognized on seismic by their reticular growth patterns. The size varies and the bigger ones can have a diameter of 2 kilometers. These are fantastic reservoirs, as also known from outcrop analogues on Svalbard, with 1 darcy permeability at 10% porosity, which is characteristic for growth framework porosity. The reefs have been dolomitized by most likely repeated early reflux dolomitisation associated with transgressive evaporites. This can also explain the absence of limestones in the succession according to Rameil. The rocks of the Røye formation did originally not have any reservoir quality but were tight layered limestones or dolomites. The good reservoirs in Gohta are cave infill. In the Gohta 1 well, a collapsed cave system with collapse breccias and stalagmitic clasts was encountered. The chert marker above represents the collapsed roof of the cave. 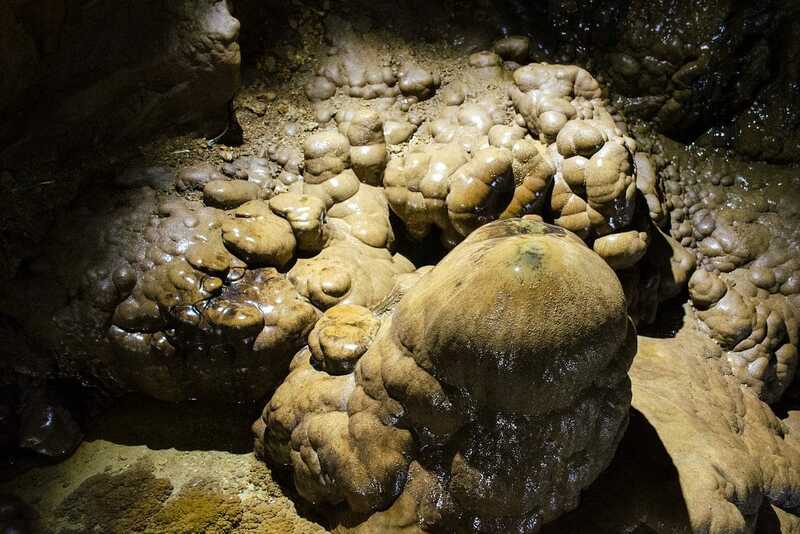 Oil is present in the intercrystalline porosity of the dolomitized matrix of the cave fill. Gohta is a case where meteoric karstification created the reservoir in an otherwise non-reservoir carbonate sequence. An analogue collapse cave system is known from the Ellenburger formation in Texas. How was the reservoir in Alta then affected by karstification? 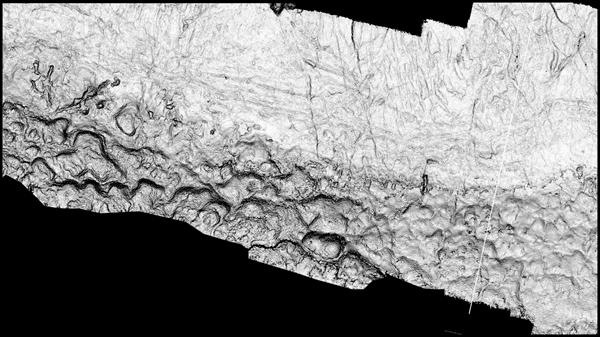 Below the reefs collapse breccias were encountered on the Alta structure. But here the clasts are in situ dolomitic clasts from the Ørn Formation. These layers of brecciated carbonate rocks are typical evaporite dissolution breccias where the evaporite layer below was dissolved and everything collapsed. This process did not create better reservoirs- quite the opposite: brecciation, following by cementation could destroy some of the porosity in these rocks.